The first track, Fanfare-Toccata from Orfeo, is available for download here. Since 1994, the Symphony In The Glen Free Concert program has been based in Griffith Park at the Old Zoo Picnic Area. Film and television composer Arthur B. Rubinstein founded Symphony In The Glen (SIG) in 1993 to cultivate new generations of classical music lovers. (...) On October 4 of 2009, Symphony In The Glen presented the first ever symphony concert on the front lawn of Griffith Observatory for the Observatory’s Cosmic Conjunction, a celebration of the International Year of Astronomy. This gala event featured the premiere performance of Arthur B. Rubinstein’s composition Observations, narrated by Leonard Nimoy. The Observatory concert, sponsored by the Friends Of The Observatory, was repeated two days later in partnership with The Greek Theatre and Nederlander Concerts for over 3,000 school children. In 2011, a studio recording of that historic concert was released, under the title Observations, by Symphony In The Glen and is now available in CD and digital download. In celebration of 2009 as the International Year of Astronomy, Griffith Observatory, Friends Of The Observatory and Symphony In The Glen presented “Cosmic Conjunction” on the front lawn of the observatory -- a spectacular concert honoring Galileo, featuring Symphony In The Glen, conducted by famed composer/conductor Arthur B. Rubinstein. The stellar event also featured the World Premiere performance of Observations -- an original composition by Maestro Rubinstein with narrative text by Griffith Observatory Director Dr. E. C. Krupp, narrated for the occasion by acclaimed actor Leonard Nimoy (Star Trek). “Observations: Symphonic Encounters from Galileo to the Space Age”, a studio recording of the music performed at the historic concert, is now available for digital download on iTunes. The “Cosmic Conjunction” event celebrated the intersection of astronomy and the arts with performances of five centuries of music with astronomical themes honoring the father of modern observational astronomy, Galileo. Recorded at Fox Studios’ famous Newman Scoring Stage, this magnificent recording vibrantly captures the evening’s selections. The “Observations” release also includes a downloadable digital booklet of the full-color program from the original concert event held at The Griffith Observatory in Los Angeles on Sunday, October 4th, 2009. On October 4, 2009, Arthur B. Rubinstein led his Symphony In The Glen orchestra in a historic concert at Griffith Observatory, launching the world-famous observatory's "Cosmic Conjunctions" program. Highlighting was the world premiere of his own spectacular and evocative "Observations", a lengthy 21-minute concert piece for orchestra and narrator, with Leonard Nimoy as guest narrator. Shortly thereafter, Rubinstein brought his symphony into the studio and professionally recorded the music under optimum conditions for this current CD. Again highlighting is Rubinstein's dazzling concert piece, now with a bonus! 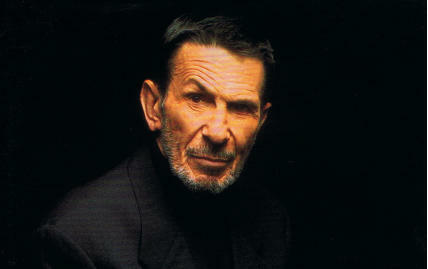 The work is heard once with narration by Leonard Nimoy, then again in purely orchestral form! Remaining items in the program include Monteverdi's "Fanfare-Toccata from Orfeo", newly scored by Mark Hoder (Rubinstein's orchestrator on WARGAMES) plus a crystal clear reading of Milhaud's famed "La Creation Du Monde". Filling out every remaining moment of the CD are pieces by Rameau and Dupare. This CD is produced through exclusive arrangement between Griffith Observatory, Symphony In The Glen musicians, guest narrator Leonard Nimoy and Intrada. Arthur B. Rubinstein conducts. Renowned classical composer Arthur B. Rubinstein and Symphony In The Glen are proud to announce the release of “Observations: Symphonic Encounters from Galileo to the to the Space Age”, classical music that spans from the 17th century through the 21st century and each piece explores and interprets different aspects of the cosmos. For your complimentary download of the first track, “Fanfare-Toccata from Orfeo”, please visit: http://bit.ly/SymphonyInTheGlen. Downloads will be available for a limited time.